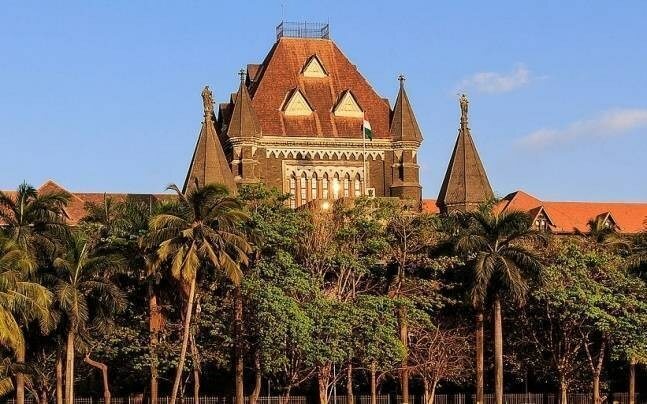 Bombay High Court in a land mark ruling relieves the restriction of MSHSD control order, 2005, for sale of Biodiesel as a transportation fuel into internal combustion engines. Prior to this, due to MSHSD Motor Spirit high-speed diesel control order 2005, under clause 3.5, sale of fuel was not permitted for transportation, without having the marketing rights in terms of this Act duly given by the Ministry. With this landmark order bio fuel manufacturers will now be able to directly sell provided they meet the required quality standard without any restrictions and hence the market accessibility increases. To get the Authorization of marketing rights, the entry barrier set by the ministry is a Rs 2,000 crore investment into the petroleum industry & authorization to market transportation fuels. Companies are also required to invest Rs. 2000 crore, in exploration and production (E&P), refining, pipelines or terminals. Writ Petition field by My Own Eco Energy (L) No.3297 of 2014 vide its Order dated 3rd February 2015 was pleased to pass detailed ad-interim order in favour of the Applicant Company. The Applicants stated that after recording a detailed prima-facie case this Hon’ble High Court was pleased to grant ad-interim reliefs as against the Respondents therein and has specifically directed no coercive steps without seeking the permissions of this Hon’ble Court. The Applicants state that the said Petition is finally numbered as W.P. No.1556 of 2016 and the same is pending final adjudication before this Hon’ble Court at Bombay. Prima facie, we are of the view that on the basis of the said section 3(5) of the Petroleum Ministry order of 2005, action cannot be taken against the petitioner, who is dealing with manufacturing, storage, distribution, contracting and sale of bio-diesel which does not fall within the definition of petroleum or petroleum products. The Hon’ble Bombay High Court on 22.10.2018 presided by the Division Bench of His Lordship Justice B. R. Gavai and His Lordship Justice M. S. Karnik heard the Petitioner My Eco Energy Pvt. Ltd. and the Respondents (i.e. Union of India & Ors.) in Writ Petition No. 1556 of 2018 filed on the original jurisdiction and has finally confirmed the interim relief granted on 03.02.2015 until final disposal of the said petition. Counsel Mr. S. C Naidu instructed by the Advocate of Record Mr. Vishwajeet V. Mohite represented the Petitioner Company. The honorable High Court in its order said as bio-diesel does not fall within the definition of `petroleum’ or `petroleum product’ It is submitted that, therefore the Petroleum Ministry’s order of 2005, which has been issued pursuant to the power conferred by Section 3 of the Essential Commodities Act, 1955 could not have brought bio-diesel within the compass of petroleum or petroleum product. It is submitted that the Government of India has, in turn, declared that the product which is manufactured by the petitioner is not a petroleum product and does not attract the provisions of Petroleum Rules, 2002. Secondly, it is submitted that since the Essential Commodities Act does not define bio-diesel as `essential commodity’, as defined under Section 2, the powers conferred on the authorities under Section 3 of the Act cannot be exercised in respect of bio-diesel. The ruling now facilitates the availability of ‘Indizel’ – a drop-in bio-fuel product by My Eco Energy Pvt. Ltd, which was the petitioner in this case. This drop-in bio-fuel, which is seamlessly compatible with all diesel engines without any modification for its usage, not only solves all the current diesel problems but also gives extraordinary results in performance, economy, efficiency, and emissions. This drop-in bio-fuel is an easy substitute for conventional fuel and is compatible with all diesel engines without any modification required, for its usage in any proportion. Indizel is Rs 3 Cheaper than Diesel; Should you consider using?